The first ever organized vegetarian group on Capitol Hill has just been formed, and vegetarian history has just been made for the second time this year (see last month’s post on the first all-veg public school). The non-partisan Vegetarian Caucus, has already held two meetings and its ranks are growing rapidly and with much enthusiasm. This is very significant for the vegetarian movement as a whole. While we wish the group had congressmen and women in it as well, we all know how influential the staffers are. For busy staffers on Capitol Hill, whose hectic days are often scheduled down to the minute, grabbing lunch often means a trip to the cafeterias scattered around the Capitol complex. Although there are multiple dining spots on the campus’s House and Senate sides, offering everything from Indian cuisine to slow-cooked barbecue, some vegetarian and vegan House staffers say there’s a noticeable lack of healthy proteins and lettuce varieties available to fit their dietary needs, so they’re doing something about it. Calling themselves the Vegetarian Caucus, these vegetarian and vegan House staffers penned a letter late last month urging Restaurant Associates, the New York-based food service company that runs most of the eateries in the Capitol complex, to add standing proteins and more nutritious greens to the salad bars on the House side, including black beans, spinach, kale and tofu. Michael Shank, communications director for California Democratic Rep. Michael M. Honda, and a member of the Vegetarian Caucus, said the letter the group sent to RA was a product of informal conversations between vegetarian and vegan staffers on the House side of the Capitol. He said that when they got together, they all realized that they lamented the lack of vegetarian and vegan options available for lunch at the House eateries. “We got into a conversation, and we all started saying, ‘Oh yeah, eating on the Hill has limited options for vegetarians and vegans. We should do something about it,’” said Shank, who has been a vegetarian for 20 years and recently began living a vegan or meat, dairy and egg free diet. It was at this point that the Physicians Committee for Responsible Medicine (PCRM) in Washington DC found out about it and got involved, sending Elizabeth Kucinich, (wife of a former Congressman from Ohio) to host a Vegetarian Caucus luncheon on Capitol Hill on Earth Day, to raise awareness among congressional staff about the health and other benefits of a plant-based lifestyle. “People choose a vegetarian lifestyle because it feels so good on so many levels,” says Kucinich. “There’s no better way to celebrate Earth Day than going vegetarian, because it increases the health and vitality of both humans and the planet. Capitol Hill’s growing interest in the benefits of a vegetarian lifestyle is evident in the overwhelming enthusiasm for this Earth Day event,” Kucinich added. The event was a hit! 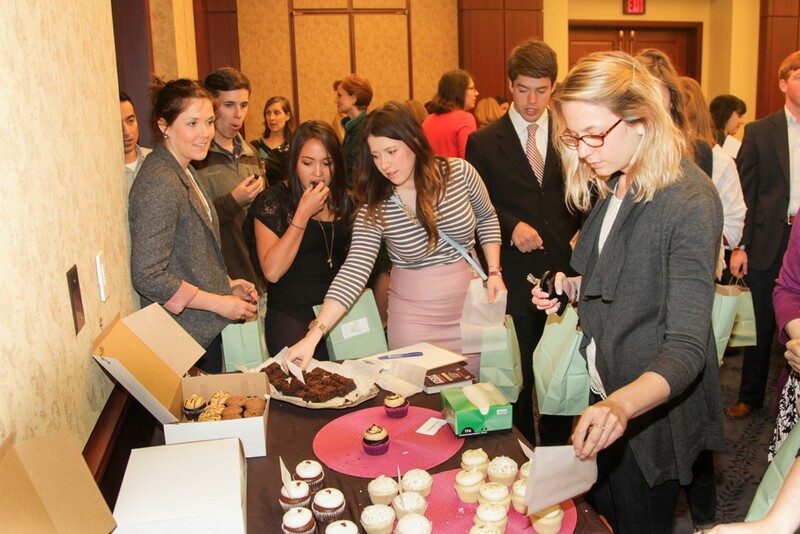 “Within hours of sending the Veggie Caucus invitation, we received hundreds of RSVPs from congressional staffers.” Hill staffer Erin Dominguez, who went vegan after her parents both died of colon cancer was one of the attendees came to the event to hear a presentation by a personal trainer and sample some of the vegan cupcakes on hand. We’ll be monitoring the progress of this new bipartisan group of highly influential staffers on Capitol Hill. Let’s hope that some of the congressmen join in with them soon and who knows maybe, just maybe, one day Congress will stop subsidizing the meat industry.